Dr. Kwok completed his PhD training in The Hamlyn Centre for Robotic Surgery, Imperial College London in 2011, where he continued research on image-guided surgical robotics as a postdoctoral fellow. He was also the recipient of the Croucher Foundation Fellowship 2013-14, which supported his research in Harvard Medical School. He joined HKU in August 2014. 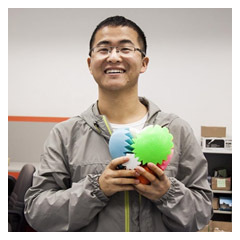 Before joining HKU Engineering in October 2014, Dr. Pan was a postdoctoral fellow in Robot Learning Lab in University of California, Berkeley. He graduated from the Tsinghua University in 2005 and later received a Master degree from National Laboratory of Pattern Recognition, Institute of Automation, Chinese Academy of Sciences in 2008, and PhD in computer science from the University of North Carolina-Chapel Hill in 2013. 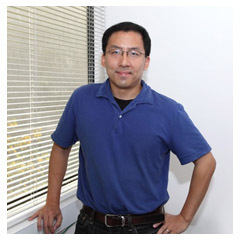 Dr. Wang was a postdoctoral fellow at the Department of Computer Science and the Department of Bioengineering at Stanford University. He received his PhD in computer science from the University of Toronto in 2010. His thesis topic was on automatically generating walking and running movements for virtual humanoids. He joined HKU in 2013. Locomotion control - designing control algorithms for locomotion using both physical simulation and optimization techniques. Biologically-based motion synthesis - building models of motion that are able to automatically generate human-like movements given minimal inputs. Imitation learning - investigating data-driven models that aim to reveal deeper insights from motion capture data that can be of use to robot control. 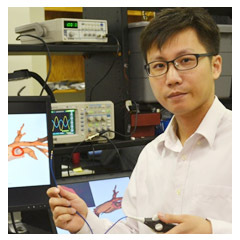 Before joining HKU Engineering in July 2014, Dr. Wang was a postdoctoral fellow with joint appointments at the School of Engineering and Applied Sciences, and the WYSS Institute of Biologically Inspired Engineering, Harvard University. He completed his first postdoctoral fellow training at the Department of Mechanical and Aerospace Engineering, Nanyang Technological University, Singapore, after receiving his doctorate from Technical University of Munich, Germany in 2010. Copyright © 2015 Faculty of Engineering, The University of Hong Kong. All rights reserved.